Manhattan College and the Maxine Greene Institute will co-sponsor the fifth annual: Imagination, Inquiry and Innovation Institute (I-4). The theme of the 2019 event is: "Look Again: The Art of Multiple Perspectives." This is an opportunity for presenter to share innovative work in a broad range of fields: fine and performing arts, media and communication specialists, humanities, education, sciences, technology, engineering, medicine, health care, and business. 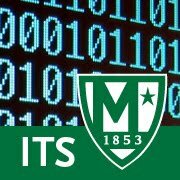 IT Services Department Training Team: Alberto DeAngelis and Anita McCarthy will be presenting a poster session on Digital Accessibility. From 9:00am-4:30pm on Saturday, March 30, 2019.